Magento 2 brings a slew of changes to the table for an experienced Magento 1 programmer. While you can still see bits and pieces of Magento 1 (EAV, areas, blocks, etc. ), the new Magento 2 core team has spent the last few years swapping out the startup fueled internals of Magento 1 with a more mature, “enterprise-java” style system. More classes, more objects, and more design patterns. Despite what some might consider an increase in code complexity, the Magento 2 core team has also spent a lot of time simplifying and clarifying ideas in Magento 1. Magento 1’s home grown class rewrite system — based around blocks, models, and helpers — has been replaced with a Kiev grown dependency injection container/object-manager system. 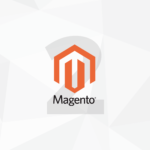 If your approach to Magento 1 development has been copy-paste, cookbook style development, then Magento 2 will be, for all intents and purposes, a new framework. Your old incantations will no longer work. If, however, your approach to Magento 1 development has been an understanding of the design pattern implementations, and cultivating an ability to read code, then coming up to speed on Magento 2 will be a slight bump on the road — and in many ways a bump that should make development a more stable, predictable affair. This article is the first in a series explaining Magento 2’s object manager/dependency-injection system. We’ll explore how programmers (you!) create objects in Magento 2, explore the additional features Magento 2’s object system brings to the table, and along the way we’ll discuss what’s changed from Magento 1 and start to explore the conventions of Magento 2. One of the big changes that Magento 2’s architecture shift brings to the table is a command line framework. This is not the simple framework from Magento 1 (discussed in my short book, No Frills Command Line Magento). Instead, Magento 2 ships with a full implementation of Symfony’s Console component. 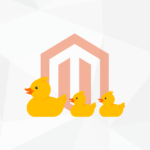 In addition to shipping with a number of useful commands, third party developers can create Magento modules that add new commands to the system. We’re going to use the command line framework to run our code samples in this tutorial. The command line is a nice clean place to run sample code, observe output, and not need to worry about the layers and layers of abstraction between a browser page load and your Magento code running. We’ve prepared a Magento 2 module with a simple command line interface (cli) command implemented for you. The hows and whys of Magento 2 module installation are still settling into place, so for now our best bet is to install this module manually. You should now be able to run the following ls command from the root of your Magento installation and see the top level files of the Ecommage_CommandLineSample module. If you’ve properly extracted the module to the app/code folder, you should see output similar to the above when you run module:status. Sharp eyed readers will notice a problem though — whileEcommage_CommandLineSample is present, it’s listed as a disabled module. We need to tell Magento 2 that this module is enabled. The app/etc/config.php file is a simple PHP include file that returns an array of configured modules. The modules you see are the core modules that ship with the system. We’ll want to add our module to the end of this list. The Magento to Mage change is, in my opinion, a neutral one, but the removal of both code pools and the module declaration files are net positive for Magento. While the core, community, and local code-pools/include-folders allowed system owners to make quick changes to Magento functionality via code pool overrides, these files contributed heavily to a merchant’s unwillingness to upgrade their systems, and often led to subtle system problems when developers would change too much of a class file’s implicit contract. The loss of module declaration files in app/etc/modules — while part of an interesting idea (one global config for the entire system) — will not be missed. While the original intent of these files may have been to configure which modules should, or should not, be in enabled in a system, poor early developer evangelism and core team practices meant that extension developers started packaging these files with their extensions, and any hope of these being user configurable files went out the window. The Magento 2 approach of a simple on/off configuration array makes much more sense. Alright, now that we’ve installed our module, we’ll want to make sure the new ecommage:command command shows up. Before we do that, there’s one more step to take. We’ll need to clear Magento’s cache. Conceptually, cache clearing in Magento 2 is the same as Magento 1. There are long running operations that will run once, and then Magento caches the results for quicker loading next time. For example, although we’ve added our new module to Magento’s configuration, Magento’s configuration is cached, so the system that’s running doesn’t actually know about our module yet. Magento 2 provides a cli command for clearing the cache. Just run the following, and you should be good to go. We say should because although this will clear all Magento’s cache types, it’s not 100% clear if this will clear the entire cache. Magento 1 contained a number of cache entries that were untyped (Zend’s module column names, for example), and Magento 1’s cache clearing commands wouldn’t delete these. Magento 2 is still too young for us to have discovered these edge cases, but if you’re uncertain about Magento’s cache being cleared and you’re using the default cache storage, you can nuke the entire cache by manually removing all the files and folders in Magento’svar/cache folder. You’ll want to be careful doing this with production systems. Magento 2 is still new enough that all the pitfalls of code generation have yet to be uncovered. Assuming you see the command above, lets try running it! Congratulations! You just manually installed your first Magento module. might cause display issues in the Admin and storefront. We’re almost ready to start discussing the object manager. Now that we have the sample module installed, let’s try changing the implementation of ecommage:command. All we’ve done above is pass a message to the command line framework’s writeln method — this is the framework’s equivalent of echo or print. With that done, we’re finally ready to start talking about Magento’s object manager. Used the command line framework’s writeln method to output a message. The first, $manager = $this->getObjectManager();, fetches the object manager for us. This is notsomething you’d normally do when writing a Magento 2 extension — getObjectManager is a helper method we’ve added for this tutorial. We’ll return to this concept later, but for now accept that the getObjectManagerwill return an instance of the Magento object manager. We’ve called the object manager’s create method, and passed in a PHP class name as a string. Behind the scenes, the object manager instantiates a Ecommage\CommandLineSample\Model\Example for us. That, in its simplest form, is Magento 2’s object manager. This may seem like a trivial difference, but by routing all object instantiation through this single point, Magento system engineers are able to give their objects a number of “super powers”. Before we get to the super powers, and while covering it in full is outside the scope of this article, the Magento object manager’s source code is in the following class file. While Magento 2 still has the concept of a model, a helper, and a block, you no longer need to know the class alias for these objects (core/template, model/product, etc.) and the object manager can instantiate any PHP class, not just a model, helper or block object. We’re going to wrap up today by talking about one of the super powers Magento’s object manager gives to objects — automatic singletons. Before we do that though, we should probably describe what we mean by singleton! And then we used the cli framework’s writeln method to output the new message. was the custom message, followed by the default message. Run this code, and your output will be a little different. Instead of printing the default message the second time, our program printed the same custom message we set on the first object. Why’d this happen? Because the second object is the first object. This is the Magento object manager’s “automatic singleton” feature. If you’re not familiar with the concept — a singleton is an object that can only be instantiated once. With a singleton, future attempts to instantiate the same object will return the original instance. This is traditionally accomplished by adding special code to a class’s constructor — but with Magento 2’s object manager any class can be turned into a singleton object. Relating the back to our code sample above, the second time we called get Magento returned the original object with a custom message set. difference. Again though, this applies to all classes and objects in Magento 2, not just the model objects. Automatic singletons are just one of the super powers Magento 2’s object manager gives its objects. Next time we’ll talk about the big super power — automatic constructor parameter dependency injection — and we’ll also reveal why Magento’s documentation (seemingly paradoxically) tells you not to use the object manager.